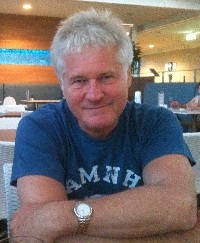 Russell Blackford is an Australian writer and editor, philosopher and literary critic, based in Newcastle, NSW. He is co-editor (with Udo Schuklenk) of 50 Voices of Disbelief: Why We Are Atheists (Wiley-Blackwell, 2009) and author of Freedom of Religion and the Secular State (Wiley-Blackwell, 2012). His most recent books are 50 Great Myths About Atheism (co-authored with Udo Schuklenk; published by Wiley-Blackwell in October 2013), Humanity Enhanced: Genetic Choice and the Challenge for Liberal Democracies (published by MIT Press in January 2014), and Intelligence Unbound: The Future of Uploaded and Machine Minds (co-edited with Damien Broderick; published by Wiley-Blackwell, also in 2014). Most of his earlier books can be found via his website or his Amazon author site. They include a tie-in trilogy for the TERMINATOR franchise, collectively entitled Terminator 2: The New John Connor Chronicles. He is editor-in-chief of The Journal of Evolution and Technology, a former president/chair of the board of the Hunter Writers Centre (2012-2013), and a Conjoint Lecturer at the University of Newcastle.